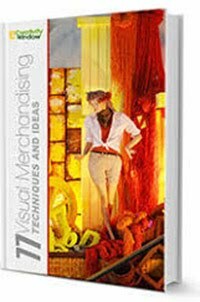 Every visual merchandiser needs to produce an effective window display, but how would you know that your window display will be effective? As I look into different factors that makes a window display effective, I come up with five important principles of an effective window display. The reason why you set up window display is to capture the attention of many, if not all people, who are passing by your window. You can achieve this purpose by setting up and attractive window display. There different princles of design that you can use to make your window display attractive - Balance, emphasis, proportion, harmony and variety to name some of them. 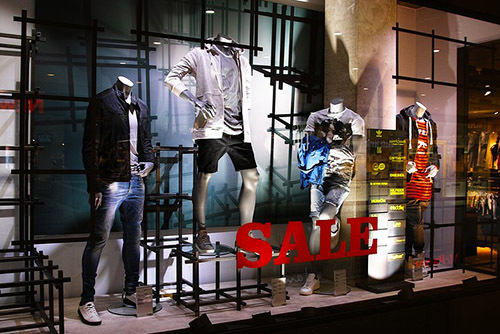 Colors and lights play and important role in making a window display attractive. In advertising, we call it a “recall”. Do people who have seen you window display remember it and mention it to his or her friend? Is there something significant in your window display? Does your window display has a story? If your answers to this questions are no, now is the right time to modify your display. This is why a “theme” is very important. A window display is something like a combination of an Art and a Design; your make is pleasing to eyes that could impress your viewers but in the en, it should be delivering the same message to different viewers. Inappropriate window display will disappoint your target customers instead of attracting them. Just like you’re message is about luxury but you display using cheap merchandise and materials or you use figure of rabbit in the Year of the Dragon during Chinese New Year. 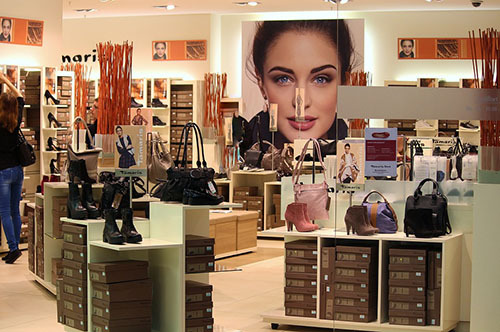 You may feel your display is boring but if it is appropriate for your targeted customers, do it. Match the materials, the props and message of your display to the need and wants of your target viewers. As window display artist, we know that black is elegant but most Chinese feels different when they see it. We know that figures of angels is one of the symbols of Christmas but it’s a big NO to be used in Muslim countries. These are only some example to mention. In other words, go with what is trending because it would be a little bit funny if you set up your window display for Valentine’s Day on December. More often, for some holidays like Christmas, Hari Raya Aidilfitri and Chinese New Year, the display are set up three weeks or a month before the celebration but for some other holidays like Mother’s, Day Father’s and Teacher’s Day, the display are being set up two or one week before the celebration. Your window display might be clean but not neat; I have seen many window displays that are clean but still looks untidy. This is where harmony and workmanship play an important role. Each element of your display must be properly set. Remove the eye-distractors. Thank you for reading. Until the next post.